Exciting News for Third Year Teachers! 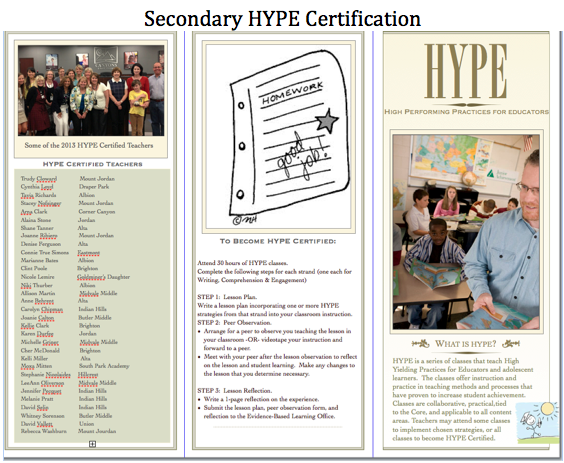 You can obtain HYPE certification and earn more money and more lane change credit! 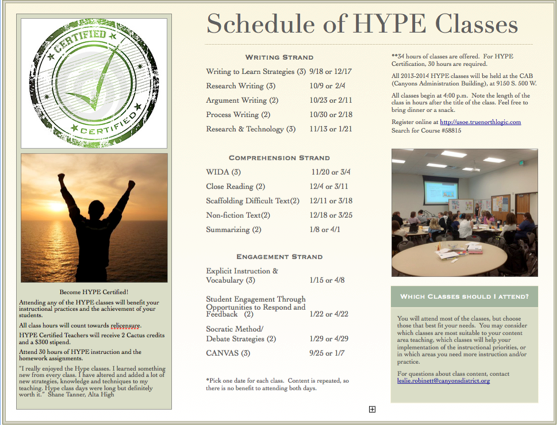 Sign up for HYPE classes instead of PEAKS classes to hone your skills even further. Elementary and Secondary classes available. 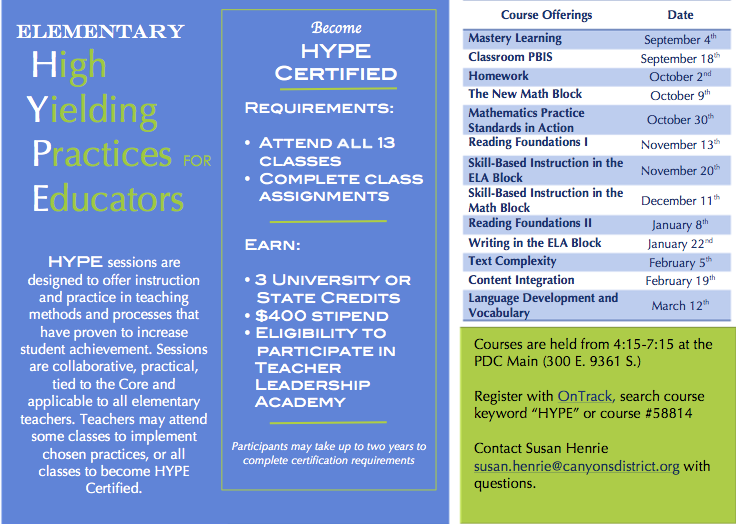 Sixth through Twelvth grade teachers sign up for secondary courses!